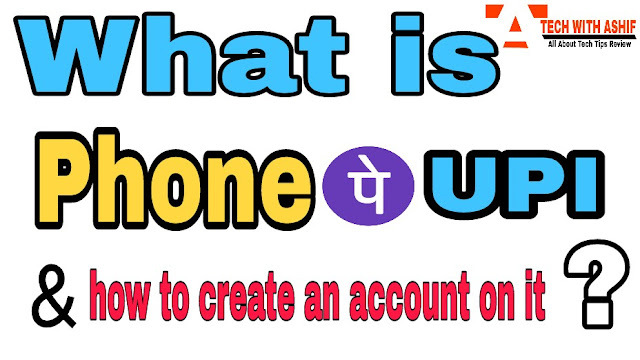 Career & Business What is PhonePe UPI app and how to create an account on it? 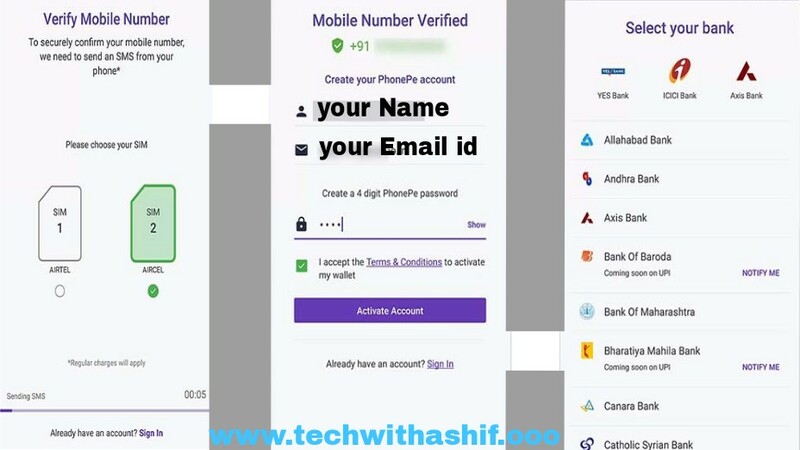 What is PhonePe UPI app and how to create an account on it? The country's largest online shopping site company Flipkart has launched the online payment app (UPI app), which is called PhonePe app. In this post, we are going to tell you what is PhonePe upi App, how it works and how to create an account on it. The PhonePe App is a UPI app that is launched by Flipkart Group. These apps are based on the UPI service operated by NPCI (National Payments Corporation of India). Friends, if you do not know what is UPI, then you can read our UPI post. To read the post, go to this link click here. 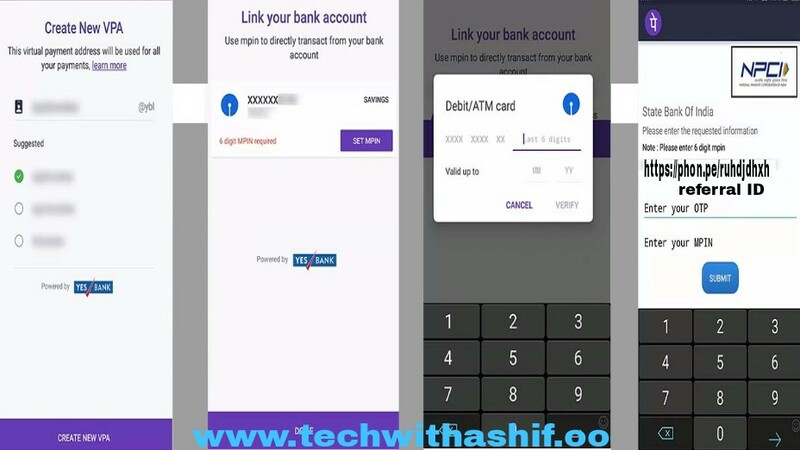 In less words, the PhonePe app works like a mobile wallet, so that you can do many of your work at home from your mobile. Just like - online fund transfer, shopping, bill payments etc. ● what is google pay (tez) Upi App ? PhonePe UPI App is linked to your bank account, so all transactions are directly from your bank account. When you create an account on this, you create a virtual id called VPA (Virtual Payment Address). You will only have to share this VPA with someone to send or recieve the payment; you do not need to give your bank details to anyone else. Because UPI is a service operated by the Government of India and the Reserve Bank of India, hence this perfection is safe and trustworthy. All the information on the transactions done on it is absolutely safe & secure. ●what is paytm bhim upi & how to use it? How to create an account on PhonePe upi App? To create an account on PhonePe, you must have an Android Smart Phone first, with any bank having a Savings account and ATM or Debit Card. Without a debit card, you can not create an account at PhonePe. So if you do not have a debit card then make it. 1. First download and install the PhonePe App from Google Play Store on your Android smartphone. 2. 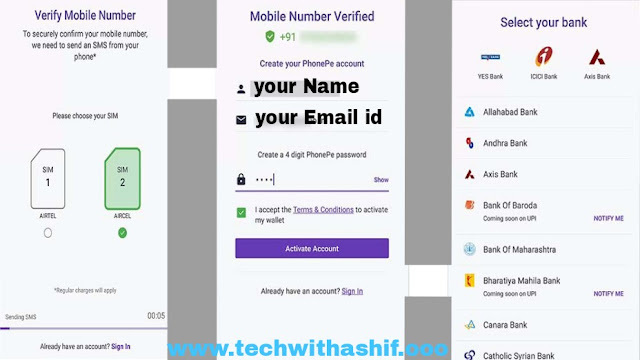 Now if you open the PhonePe App, first you have to verify your mobile number. If your phone is dual SIM then select your SIM. You have to select the same mobile number here which is linked to the bank account. 3. Now click on send SMS. Your phone will come with a code to verify the mobile number. Now in the next page you have to enter your name and email address. 4. Now you have to set your 4 digit password. Accept T & C and click Activate account. Now you have registered on PhonePe. Now you have to create your VPA. 5. In the Create New VPA, you have to set your username to select one of the options given below. Now you will see a list of Banks on the next page in which you have to select your bank. 6. In the next step, you have to link your bank account to PhonePe. For this, you will see a SET MPIN option next to your bank name. 7. You now have to enter last 6 digit and card expiry date of your ATM / Debit Card. Now an OTP will come on your mobile and entre it and submit it. Your PhonePe Wallet account is ready. 8. Making a digital payment with the help of the PhonePe App is very easy and secure. It works like the other mobile wallet. The money is directly transferred to your bank account and you get more features from mobile wallet. I hope you like the information of phonepe upi app. You must share your feedback in the comment box Thank you for reading article.